It’s Friday, which means we Book Smugglers are over at Kirkus! Today, Thea is list-making (yes, yes, again) – this time with horror on the high seas in mind. 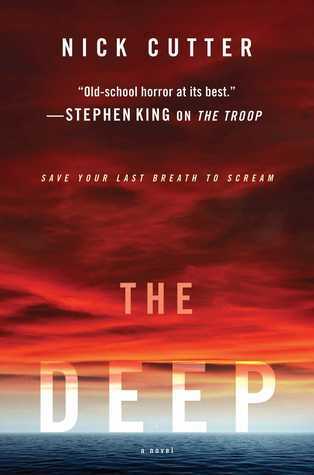 After reading The Deep by Nick Cutter (author of The Troop), it’s hard not to have watery, claustrophobic horror on the mind. Despite some uneven transitions, Thea quite liked this book (moreso than The Troop). Get the full list of other stories of horror, cannibalism, and the supernatural at sea HERE. many thanks for share this article! thank you for sharing this post……. thanks for sharing this great article , keep up nice work ? wow i search that 2 years!